We like to talk about the Internet of Things and its effect on maintenance management and maintenance management software a lot, seriously, a lot. We love to talk about it so much because of the impact we know it will have on our entire industry and all the great people we work with on a daily basis. When something is going to impact your business this heavily and essentially change your entire product model, you may want to keep an eye, or two, or your entire company looking at it, right? We're committed to keeping our readers up-to-date on anything and everything that can benefit your organization and make your CMMS more effective, so we've put together a few more reasons we love the Internet of Things, and why we think you should too! While this may not be the most exciting title you've ever read about the Internet of Things, it's a fundamental element of the entire system that's important to understand, especially when it comes to the Industrial Internet of Things (IIoT). With vastly improved sensor connectivity and increased monitoring through both a reduction in cost of sensors and increase in sensor sophistication, we can monitor much more than what was allowed by any previous data collection method, and we can utilize that data it in progressively more powerful ways. An important thing to understand is that we aren't talking about smart machines or machine to machine communication in a traditional sense when discussing this data and how it's collected. The fact that sensors are separate entities entirely from the machines themselves means that their entire job is to monitor your equipment and assets. That means that 24/7, 365, these little sensors are tracking and monitoring the condition of pretty much everything that's important to your operation or facility. Big data and the IoT work together like peanut butter and jelly (or jam if you prefer. See, the IoT needs a lot of data to be effective, and "big data" needs the IoT to be used effectively. 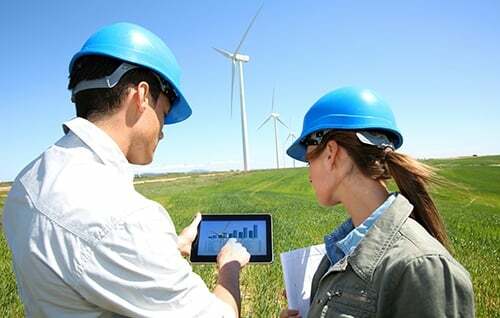 What this relationship creates is a situation in which everyone, including maintenance management teams, can gain insights into facilities that were previously unheard of, but you have to be able to leverage the data and the IoT together to create those insights. Using insights as a goal allows us to build new and amazing products designed to harness those insights and use them in meaningful ways, like finding failing equipment and recommending a course of action to repair it before it ever causes an issue, as in, way before. By continuously monitoring your equipment and assets, you begin to create trends that can be analyzed and reported on, so that your processes for dealing with potentially troublesome machines or areas of your facility become more practical and useful. Okay that last one might not be a good example but you get the idea. When your maintenance team is freed up from perpetual preventive maintenance routines, you can begin to focus on improvement, rather than upkeep, and a CMMS integrated with the Internet of Things is a major step in that process. As a product, mobile CMMS is becoming more mature every day. Based on input from our amazing users, companies like ours are able to add new functionality to our mobile offerings that make interacting with our products more useful, and more enjoyable. By adding integration with the IIoT to this growing list of features, we hope to create a product that communicates with our users in such a meaningful way, that maintenance management without it would be like having a computer without the internet. Sure, it still works, but it just isn't the same. We're very open about our plans for this type of integration, and we hope that everyone in maintenance is as excited as we are about the potential that this type of personalized mobile CMMS experience offers. Okay, you got us, this one is a little more subjective, but it still counts. Knowing that your most important equipment and assets are being monitored at all times will hopefully stop maintenance managers and their team from worrying about potential problems dragging them back to work at 2AM, unless you already work at 2AM, then we're hoping that you don't get dragged back at 2PM, because we all need our rest. To learn more about SOMAX click on the orange button above or visit www.somax.com. We'd love to hear from you, so go ahead and leave a comment below. Want more articles like this? Subscribe to our weekly newsletter and receive updates and new content delivered straight to your inbox.